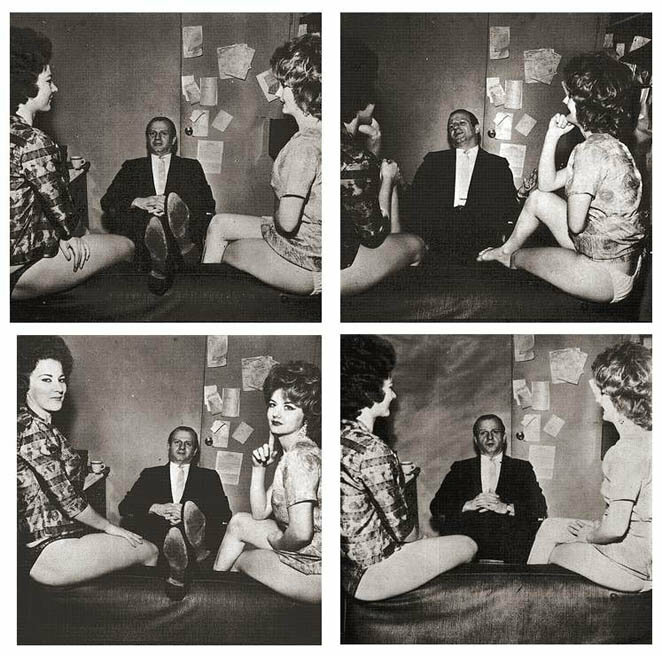 The first time I ever heard about the State Fairgrounds in Dallas was during Larry Meyers’ Warren Commission testimony when he told about coming to Dallas a few weeks before the assassination, possibly for the grand opening of the Dallas Cabana, where he also stayed over the weekend of the assassination. 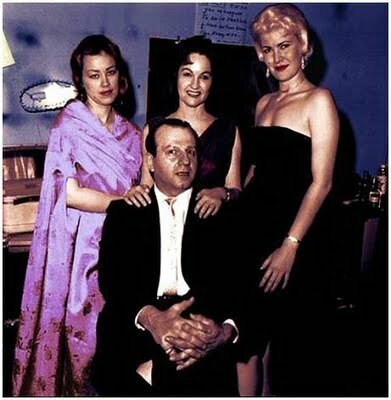 Meyers described how he was a salesman from Chicago who had met Jack Ruby sometime previous, and since Ruby was from Chicago too, they developed an affinity, so whenever he came to Dallas he would stop and visit Ruby at the Carousel Club. Meyers said he wrote out a $500 check for Ruby to cash and share with his friends who ran the enterprise. Two of those involved, Joyce McDonald and Larry Crafard, went to work for Ruby in the following weeks, McDonald at the Carousel Club and Crafard as a handyman who became Ruby’s right-hand man, living at the Carousel Club, doing some of the duties Ruby usually did, and then helping to manage Ruby’s other club, which never gets as much attention as the Carousel. Unlike the Carousel, Ruby’s other club didn’t have the dancers, but featured music instead, usually a rock and roll band. 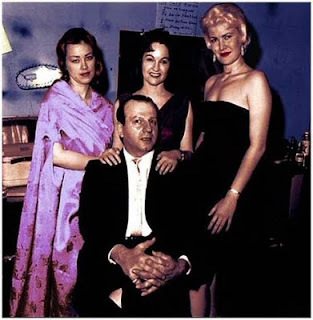 Crafard also bore a remarkable physical resemblance to Lee Harvey Oswald, so much so that more than once, it was later alleged that Ruby and Oswald were seen together, when it later turned out that it was actually Ruby and Crafard who were together. 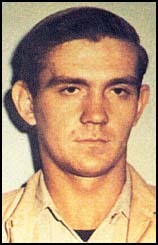 Crafard may have also intentionally impersonated Oswald in one of the many instances where the accused assassin was blatantly and intentionally impersonated by others, possibly as part of the effort to frame him. Then there’s Joyce McDonald. She worked at the Fair and then worked for Ruby. When Larry Meyers returned to Dallas over the assassination weekend, he brought a young lady with him, Jean Aase (aka West), and Jean and Joyce went shopping together. That Ruby would recruit two employees from the Dallas State Fair was all quite coincidental, and I took it that way until a researcher sent me some Deep Background on early organized gambling in Dallas that indicated such gambling was centered around the Fairground until the Chicago mob moved in, a move that apparently included Jack Ruby. 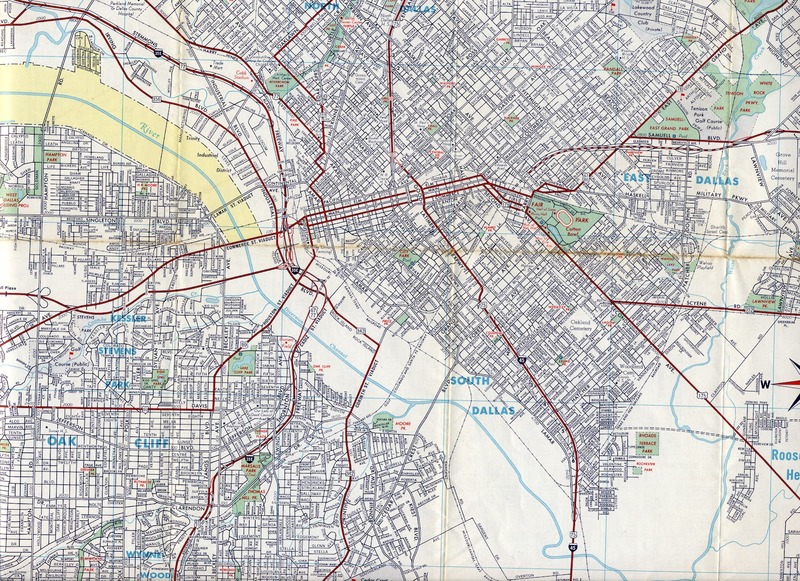 Then the Dallas organized criminal underworld shifted to Joe Civello, the Campisis and company, who were associated with Carlos Marcello in New Orleans. Revill was assigned to investigate how Jack Ruby had gained access to the City Hall basement when he shot Oswald. Griggs also cites a reference to Phillip H. Melanson’s article “Dallas Mosaic” published in the Third Decade (Vol. 1, no. 3, March 1985, pages 12-15), where Melanson mentions that “the spooky little unit was physically removed from the rest of the DPD and was headquartered in a building on the state fairgrounds.” (Vol. IV HSCA 597). That the DPD SSB, who ran undercover informants, would be headquartered away from the regular Police Department makes sense, since undercover informants would not like to be seen around the Police Department and expose the fact that they were snitches. As Ian Fleming said, “Once is happenstance, twice is coincidence, but three times is enemy action,” so after my attention was drawn to the Dallas State Fairground for the fourth time – first by Ruby taking Larry Meyers there, second by Ruby’s recruitment of two carneys – Crafard and McDonald, third by the history of gambling at the Fairgrounds and fourth by the location of the Dallas PD SSU HQ there, I now suspect something interesting is going on there. 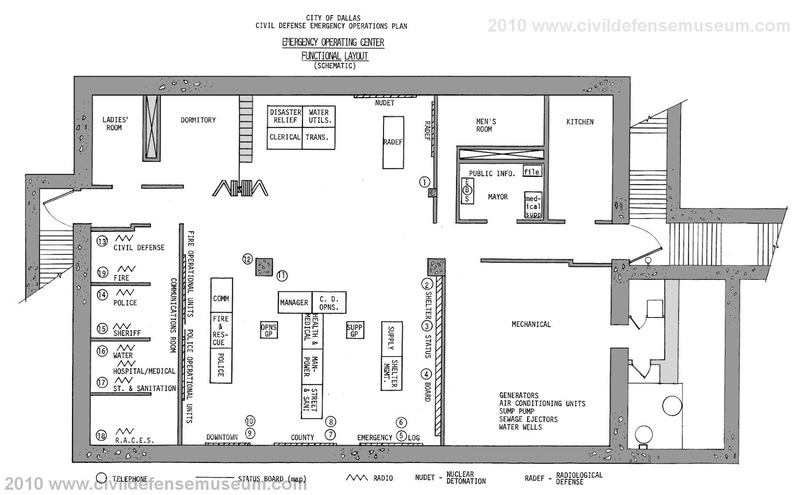 Then the clincher is the fact that the Dallas Civil Defense Emergency Bunker, an underground nuclear bomb proof cellar with special communications equipment, was located under the Health and Science Museum, located at the Dallas State Fairgrounds. Was this emergency bunker in use on November 22nd, 1963? And if so, did they tape record all of the emergency radio communications? Russ Baker asks the same question and notes that Jack Crichton, who worked with some of those DPD officers in the Pilot Car in the motorcade and assisted in obtaining the interpreter for Marina Oswald on the day of the assassination, was also in charge of this shelter. The Office of Civil Defense Mobilization announced Wednesday the approval of a $120,000 emergency underground operating center for the Dallas City-County Civil Defense and Disaster Commission. Under Plans formulated last year, OCDM and Dallas County will match contributions of $60,000 for the center. The building will be constructed at Fair Park adjacent to the Health and Science Museum. John W. Mayo, commission chairman, said final plans for the thickly-walled structure will be completed soon and construction is expected to begin within a year. Largely a communications center it will be tied to state, regional and national civil defense headquarters. It will contain enough food and air conditioning to maintain the 20 persons working there for two weeks without outside supplies. After the center is completed, it will be open to the public as a display of an operating disaster control office. Dallas Morning News Staff Photo caption: Officials of the Dallas City-County Civil Defense Disaster Commission look at a model of an underground shelter as they announce government approval of a $120,000 underground communications center for Fair Park. (See Photo) From left, front row, H.F. Boss of the Health and Science Museum, Country Judge Lew Sterrett and John W. Mayo, commission head. The old Dallas Civil Defense Emergency Operations Center (EOC) is located under the playground in front of the Science Place Planetarium Building at Fair Park in Dallas Tx. This EOC was to function as a relocation shelter for Dallas govt. officials in the event of a nuclear attack. It was from this shelter that officials would have tried to coordinate recovery efforts involving community shelters, radiological monitors, police, fire, sanitation and other services. Construction of the EOC lasted from 1960 to 1961 at a cost of $120,000. The City of Dallas paid $60,000 and the Federal govt. paid the additional $60,000. This shelter is a blast shelter in the true sense of the term. It is equipped with large concrete and steel blast doors which bolt shut when closed for sealing purposes. The exterior blast door is plainly visible next to the sidewalk on the southeast side of the building. The EOC also is equipped with air ventilators containing "anti-blast valves" which would close to prevent blast pressure from entering the shelter. The air circulation system was built with a separate air filtration room complete with a wall of air filters to remove fallout contaminants from the incoming air. According to a March 27, 1962 Dallas Times Herald article the shelter was officially opened on April 1st, 1962 at 3pm. The shelter is now closed to any public access and is only used for storage purposes by the Science Place. It appears that they left many things intact, including the Emergancy Log board. There were still entries written on it from a practice excercise. Some of the entries are "Naval Air Station Dallas, Carswell Air Force Base, General Dynamics, Texas Instruments and Power Plant." Public Relations Ploy or Holding off a Military Coup? 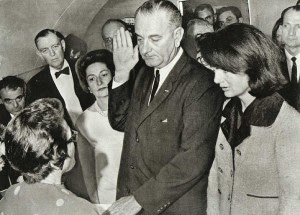 From all accounts the first decision LBJ made as president was to go immediately to Air Force One, because of its security and advanced communications equipment, and the second decision was to hold the swearing in ceremony immediately before they took off. 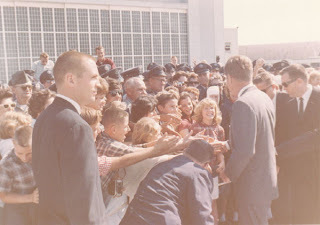 The first decision was made at Parkland Hospital before the official announcement was made that JFK was dead, while the second decision was made aboard Air Force One after LBJ made a series of telephone calls, one to Attorney General Robert F. Kennedy to obtain the wording of the oath of office. 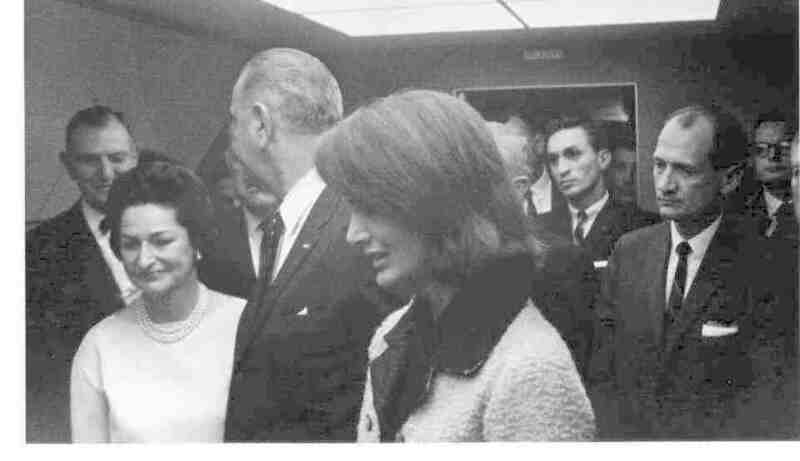 Other calls were made from Air Force One as well, by LBJ himself, such as the call to his personal tax attorney J. Waddy Bullion, during which they discussed his Haliburton stock. LBJ’s close aides, such as Bill Moyers and Cliff Carter also made telephone calls. The secure telephone lines set up for Air Force One at Love Field were special trunk lines that had to be detached from the plane before take off, after which all the communications were made through radio patches over three or four sideband radios in the communications room behind the cockpit. All of the president’s communications were controlled by the White House Communications Agency (WHCA), then led by Col. George McNally (code name “Star”), who was having lunch at the airport terminal when the assassination occurred and returned to Air Force One to ensure that the new president could communicate with anyone in the world. The trunk line at Love Field aboard Air Force One was only one of a dozen such secure land lines that were connected by the WHCA – others being at locations where ever the President was or would be – the hotel in Fort Worth where JFK spent his last night, at the Dallas Trade Mart where he was scheduled to give a luncheon speech, and other locations in Texas where he was scheduled to be. "Officials at the Pentagon were calling the White House switchboard at the Dallas-Sheraton Hotel asking who was now in command. An Officer grabbed the phone and assured the Pentagon that Secretary of Defense Robert MacNamara and the Joint Chief of Staff are now the President." If that is the case, the decision to hold the swearing in ceremony immediately may have been a reaction to these reports that the Joint Chiefs “were now the President,” rather than merely a public relations ploy to sooth the doubts of a nation as to continuity of government and the proper line of succession. 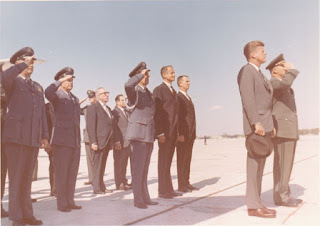 So the first two decisions LBJ made – to go immediately to Air Force One because of its superior communications equipment and take the oath of office before taking off, were both moves that were engrained into the special continuity of government plans that JFK had made LBJ privy to. If LBJ held the same feelings for the military at the time of the assassination, the early reports immediately after the assassination that MacNamara and the Joint Chiefs “were now the President,” which came from the WHCA base station at the Dallas Sheraton, could have stimulated LBJ to hold the swearing in ceremony immediately aboard Air Force One so that the whole nation and the world, as well as the brass at the Pentagon, knew who was President. Other than the prosecution of Leslie Charles Waffen, the former NARA official for stealing and selling records, JFKcountercoup: Ex-NARA Offical Arrested for theft can you tell me if any legal action has ever been taken against any of those who have committed similar crimes - stealing JFK records, deliberately destroying JFK assassination records, or wrongfully withholding JFK assassination records? Among those items I am aware of, the Andrews Air Force Log Book JFKcountercoup: The Andrews AFB Log Book 11/22/63 was reported salvaged from the trash. Was their an inquiry into who ordered such an historical record destroyed or trashed? RFK’s appointment book for an entire year is missing. Was there an investigation into what became of it? JFK’s Catholic missile and the “wink” negative from LBJ’s swearing in and the unedited Air Force One radio transmissions all disappeared from the inventory of official records. The photo negative must have disappeared from a NARA vault. Other pertinent records, such as the entire office files of Admiral Rufus Taylor, the Director of Naval Intelligence were declared missing and not included in the JFK Collection. JFKcountercoup: Rear Admiral Rufus Taylor ONI Records Missing? Has there been any investigation into the possible theft or illegal destruction of these historic public records? Isn’t the Navy and NARA concerned that the missing office files of the director of ONI will fall into the hands of the Russians or a Wiki Leaks sympathizer? Has any attempt been made by NARA to restore DNI Taylor’s assassination related records from the files of other agencies with whom these documents were shared? JFKcountercoup: Rufus Taylor & Dallas ONI SA J. Mason Lankford, Jr.
Agency directors had to sign a sworn statement under penalty of perjury that all of the relevant records were turned over to the JFK Collection. Since there have been such blatant violations in the destruction, theft and wrongful withholding of JFK records, have any of these crimes been investigated or anyone charged with perjury? Many agencies intentionally stalled their response, knowing the ARRB was a temporary agency. If the NARA is responsible for carrying on the work of the ARRB, shouldn’t those individuals who destroyed, lost/stole or wrongfully withheld records be held accountable for their crimes? Are More Records Out there? The Great JFK Scavenger Hunt is On! What gems of the missing and secret Family Jewels are still out there, in a basement file, in a box in a garage or attic or suitcase under a bed or in a closet? Maybe its owner has died and it has been passed on to unknowing relatives who don’t even know its there? Not real gems, but historical documents, records and artifacts related to the assassination of President Kennedy. While there are many allegedly destroyed and missing records and artifacts, I would like to concentrate on three specific cases. 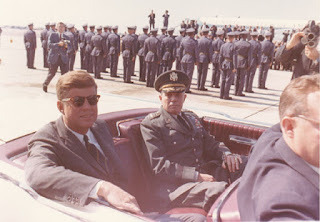 It is my contention that there are still official JFK assassination records among the personal files of the first Chief Counsel to the HSCA Richard A. Sprague, the missing office files of Admiral Rufus Taylor can be located and an unedited tape of Air Force Radio communications still exists today but has yet to be located. When G. Robert Blakey, the second chief counsel to the HSCA contacted me about an official local police arrest report that I had obtained, I told Blakey that I had given a copy to Richard Sprague, the first chief counsel, having hand delivered it to Sprague’s law office in Philadelphia. Blakey claimed that Sprague didn’t turn over all of his assassination files to him when he left and I think that’s true. Getting fired was not a pleasant experience for Sprague, we know he didn’t cooperate with Blakey, his successor, and that he wasn’t in a good mood when he left Washington. I told Blakey I was glad Sprague didn’t turn over all his records because he had them locked away for 50 years. Nor do I think Sprague turned over his records to NARA or cooperated with the ARRB as I searched and requested an inventory of the records of the first HSCA chief counsel Richard Sprague in the JFK Collection at NARA, but instead was referred to the records of Richard B. Sprague, an independent researcher associated with the New Orleans investigation of Jim Garrison. I don’t believe that the first chief counsel to the HSCA - Richard A. Sprague, Esq. turned over all of his records to the HSCA or the NARA and some remain in his personal possession, just as Clifton and Blaine kept their own records. In addition, I refuse to believe that the entire office records of the Director of Naval Intelligence (ONI) for the years 1959-1964 are completely missing and have not been located by either the Navy or the NARA. Admiral Rufus Taylor, the first officer with an intelligence background to be appointed DNI, personally wrote letters and official memos regarding the assassination of President Kennedy, some of which have been found among the records of other agencies, whose records are not missing or weren’t intentionally destroyed. 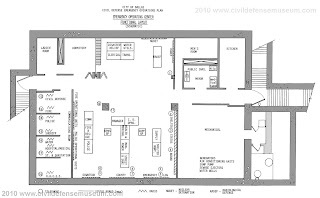 I think the Navy knows exactly where the office files of Admiral Rufus Taylor are located, and rather than turn them over to the NARA to be included in the JFK Collection, which would be open to the public, they intentionally committed perjury when signing off on the ARRB voucher saying that all the known Navy records on the assassination were transmitted to NARA. They know exactly where they are, other wise they would have conducted a major investigation to make sure those records didn’t fall into the hands of the Russians, the Chinese or Wiki Leaks. But as far as is known, there has not been any such investigation by the Navy or NASA, so one must assume that they are not overly concerned with the records falling into the wrong hands, especially the American public. Most significant would be the discovery of a complete, unedited tape of the Air Force One radio transmission from November 22, 1963. We know such a tape or tapes once existed because President Kennedy ordered all of the radio transmissions to and from Air Force One to be recorded and the White House Communications Agency (WHCA) complied. We have two edited versions, the LBJ Library tape and the longer version found among the effects of Gen. Chester Clifton, the President’s Military Aide, both of which are edited and about half of what it is estimated should exist. Two identical copies of the Clifton tape were discovered together, which means that they both must have been second generation tapes made from another, first generation tape, one that was not edited. In addition, we know that a number of writers who were promised cooperation in the writing of their books – T. H. White, William Manchester and Pierre Salinger, were given a transcript to read and quote from, but not to keep. That transcript has disappeared, as well as the original, unedited tapes. White and Manchester, while visiting the White House, were shown the transcript, while the WHCA sent Salinger a copy that he said he turned over to the JFK Library, but they claim the transcript is not among Salinger’s papers. Despite the complete disappearance of the original, unedited WHCA tapes of the Air Force One radio communications, I believe that the originals, other copies similar to the Clifton tapes or completely unknown tapes made by another party do exist and can be located. I don’t think the WHCA were the only ones monitoring and taping the Air Force One radio communications that day. For a fact, I know there was a civilian, amateur HAM radio group based in Colorado who routinely monitored and most likely taped the “Star” network, as it was then called. It was because these radio transmissions were broadcast over open frequencies, anyone with the proper radio receiver could listen in if they knew what frequency to listen to, or had a scanner that automatically monitored the 150 or so frequencies that were available for the Star Group to use. We know that Air Force One, the Special Air Mission (SAM) and Strategic Air Command (SAC) networks were all assigned their frequencies by the Liberty Station at the Collins Radio headquarters in Cedar Rapids, Iowa. It has been suggested that if the WHCA no longer had copies of the Air Force One tapes in its Archives, then the next logical place to look would be the Collins Radio Archives in Cedar Rapids. Besides the amateur HAMS and Collins Radio, the signal corps of other governments most certainly targeted the Air Force One radio transmissions. The recently published book on Castro and the CIA (by Latell) reports that Castro himself ordered his specialists to target the President’s radio communications in Texas while he was there. Dave Emory, a radio buff who wrote a history of the Lourdes facility in Cuba acknowledged the Russians and Cubans probably targeted, listened in and tape recorded the conversations, either from Lourdes or the radio listening post set up in the Soviet Embassy in Washington, but they would never acknowledge it. He also said that other, friendly governments, such as Canada, the British, Australians and Israelis probably targeted those communications, monitored them and taped them, but would never publicly acknowledge that fact. Not only the Cubans and Russians, as well as friendly governments, besides WHCA and Andrews, other US government agencies, such as the NSA, assigned to monitor foreign radio communications abroad, certainly had the ability to monitor the Air Fore One radio communications. Not only could a number of different foreign and domestic government facilities monitor and record the Air Force One radio transmissions, there were dozens if not hundreds of official and military radio bases assigned the designated frequencies and ordered to monitor these communications. It is quite hard for me to believe that with all of these people listening in, and having the capability of recording the transmissions, that the sensational news and historic nature of the assassination didn’t trigger an automatic response to turn on the tape recorder. I’m now quite confident that there were many recordings of these radio transmissions made, and not all of them suffered the same fate as the WHCA version. 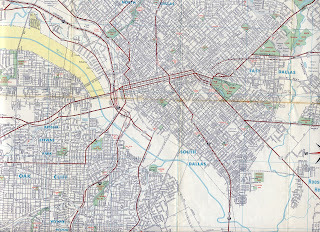 So far I have identified 35 known radios that were officially looped into the S-Star Network on 11/22/63, including eight motorcade cars, ten airplanes, and nearly thirty base stations, each with the capability of recording the radio transmissions. Dave Emory, the author of the Lourdes report and a military radio communications specialist, said that technicians and personnel at all of the base stations who were listening in had the potential of recording the Star radio transmissions, and once they learned of the assassination, and recognized the historical importance of the occasion, probably turned on their tape recorders. What became of these tapes is not known, but even though they came under the jurisdiction of the SAM-SAC-WHCA nexus, some of them could still exist, possibly in private hands, just as the Clifton tape survived. Toward that end - discovering a possible, previously unknown tape recording or copy of the original unedited WHCA tapes, I have compiled a list of all known Star Group Network base and mobile stations that we know were officially connected to the network. Star Group Network – (Later Mystic Star) was the Special Air Mission Communications (SAMCOM) radio network, which operated for many years, and at the time of the assassination under the command of Col. George McNally (aka “Star”) – Commander – Star Group 1941 – 1965. Col. George J. McNally was the first commanding officer of the White House Army Signal Agency, and its successor, the White House Communications Agency (WHCA) from 1941 until his retirement in 1965, who wrote an autobiography about his experiences, “A Million Miles of Presidents" (1600 Communications Assoc. 1982). 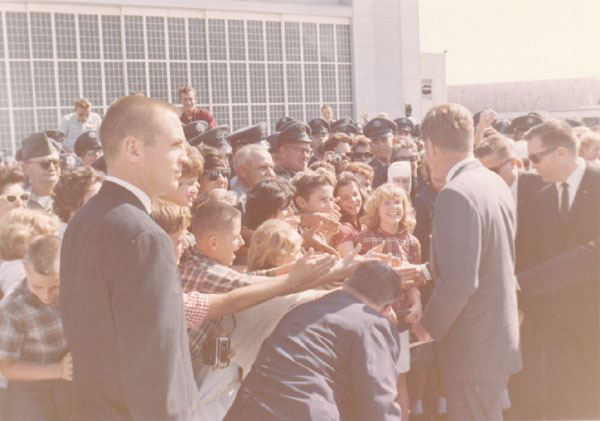 McNally was at Love Field at the time of the assassination, possibly eating lunch at an airport restaurant, and should have returned to DC aboard Air Force One. We know from the report of Secret Service Agent Art Godfrey, who returned to DC from Bergstrom AFB in a SAC KC135 and was in the air at the same time as Air Force One, that “the military had all their units on radio silence because of a Strategic Air Command order,” so the Air Force One radio transmission were certainly easy to find as practically the only chatter going on over the designated frequencies. “The Mystic Star HF Network consists of a single master net control station (MNCS) located at Andrews AFB MD, interstation and intersite circuits, relay and auxiliary communications systems, and operates from the 789th Communications Squadron (789 CS/SCP), 1558 Alabama Ave, Suite 67, Andrews AFB MD 20762-6116. The Mystic Star system consists of eight primary and nine secondary HF radio stations located throughout the world. Each primary station provides four radio levels dedicated for Mystic Star use. Secondary stations provide at least one radio level dedicated for use by Mystic Star. A radio level consists of a transmitter, a receiver, and the associated equipment. A typical primary station consists of a Communications Relay Center (CRC), a transmitter site, and a receiver site. These are connected by transmission lines (buried cable) or microwave transmissions. The CRC consists of consoles, switches, and associated common control equipment. All stations except for Andrews, MacDill, Loring, Salinas, and Scott are GCCS stations. GCCS stations have additional radio levels and operators available if required. 5) 26000 (Air Force One – on the ground) Col. George McNally senior officer. 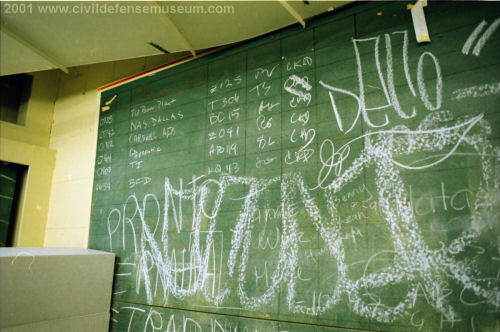 9) SAM Command Post, Andrews AFB, Md. a) Brandywine, MD Receiver Site Brandywine. Carl Mather, J.D. Tippit’s friend worked at Collins Radio, personally installed communications equipment on the SAM VP plane (AF2) at “Brandywine,” near Andrews AFB in Maryland. e) Blue Ridge Summit, PA (aka Site R, The Rock) Alternative National Military Command Center (ANMCC) Raven Rock Mountain near the PA-MD border, east of Waynesboro, Pa, the Raven Rock Military Complex is aka Site R and designated the Alternate Joint Communications Center (AJCC) for senior military officials in a nuclear attack. g) Alternative Joint Communications Center II (AJCC) Tysons Corner VA.
21) Camp X – Canada ? This was a communications base in 1963 that also housed a Soviet defector. 7) Press Car – Meriman Smith, UPI, AP. 8) WHCA Car –Art Bales (aka “Sturdy”) SW Bell official. 5) C-130 Cargo Plane for autos. a) Presidential Yacht Sequoia. Communications for the Presidential Yacht - Several AT&T Long Lines facilities housed equipment providing radio communications to the Presidential yacht Sequoia, as it cruised the waterways of the Washington, DC area. One of the largest caps in histories of Cold War intelligence operations and international relations in both East and West concerns the role of signals intelligence (SIGNIT). The role of ULTRA intelligence generated by British and American code breakers in hastening victory over Germany and Japan during World War II is now well known. Research on post-war SIGNIT, by contrast, has barely begun…. …President Reagan declared in 1983: The Soviet intelligence collection facility less than 100 miles from our coast is the largest of its kind in the world. The acres and acres of antennae fields and intelligence monitors are targeted on key US military installations and sensitive activities. The installation, in Lourdes, Cuba, is manned by 1,500 Soviet technicians, and the satellite ground station allows instant communications with Moscow. This 28-square-mile facility has grown by more than 60 percent in size during the past decade. Robert Lipka (codenamed DAN), a leading Cold War Soviet agent in the United States arrested after Mitrokhin supplied the FBI with extracts from his KGB file. On being sentenced to 18 years imprisonment in 1997, almost 30 years after his work as an agent ended, Lipka ruefully commented, ‘I feel like Rip Van Spy’. Lipka’s arrest, as reported by the Wall Street Journal, 21/11/96. Thanks chiefly to two walk-insw, Line PR in Washington performed rather better than New York during the mid- and late 1960s. In September 1965 Robert Lipka, a twenty-year-old army clerk in NSA, caused great excitement in the Washington residency by presenting himself at the Soviet embassy on Sixteenth Street, a few blocks from the White House, and announced that he was responsible for shredding highly classified documents. Lipka (code-named DAN) was probably the youngest Soviet agent recruited in the United States with access to high-grade intelligence since the nineteen-year-old Ted Hall had offered his services to the New York residency while working on the MANHATTAN project in Los Alamos in 1944. Lipka’s file notes that he quickly mastered the intelligence tradecraft taught him by Line PR. Over the next two years he made contact with the residency about fifty times via dead letter boxes, brush contacts and meetings with a case officer. How come these NSA JFK assassination records that Lipka says he was ordered to shred, but instead turned over to the Soviets - how come the NSA has not acknowledged them and turned them over to the NARA, as they should according to the JFK Act? I recently appeared as a guest on the Corbett Report to talk about the state of the JFK Assassination Records. Jim Corbett is a very knowleable researcher based in Japan, but his show is worldwide andd he has a good following. I will try to transcribe the interview and post it here ASAP. Two years ago the National Archives promised the American public that it would release thousands of pages of still-secret JFK assassination records by the end of 2013. The National Archives, at the behest of the CIA, reneged on this promise. This is contrary to President Obama's pledge to have the most open administration in history and makes it impossible to have a full and open debate when the 50th anniversary of the assassination occurs in less than two years on November 22, 2013. A half-century of secrecy is enough. Free the JFK assassination records now! (61) Release JFK Assassination Records Now! We have set up an account to take donations for a full page ad that will include the petition and ask for Congressional oversight of the JFK Act. Former SS Agent Blaine said that he has kept some of the advance reports on the Tampa trip, reports that had previously been reported destroyed. Four days before he was killed in Dallas President Kennedy visited Tampa, Florida, where he addressed the Steelworkers Union and then later in Miami the Inter-American Press Association (IAPA) to whom he delivered a major speech on Cuba, part of which was said to have been designed to confirm his support for a coup in Cuba. 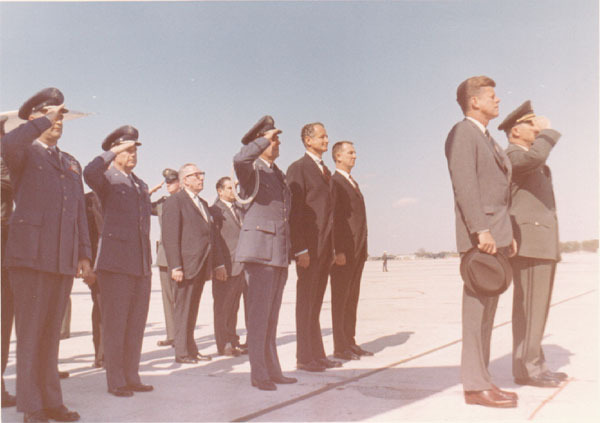 In the course of this trip, which included a long motorcade that began and ended at MacDill AFB, Kennedy met privately with the commander of MacDill, a base where a quick-strike unit was prepared to intervene in Cuba if called upon to do so. As Peter Dale Scott has pointed out, MacDill AFB was the recipient of the special message from Dallas PD officer Stringfellow informing the Quick-Strike unit that the accused assassin was a Cuban Communist, a possible instigation to mobilize. Also in the course of the visit to Tampa, the Secret Service and local authorities investigated a plot to kill the president, a conspiracy that included shooting the President with a high powered rifle while he rode in the motorcade, and a patsy, Gilberto Lopez, a Cuban affiliated with the FPCC who was trying to get back into Cuba, and eventually did so, via the same route Oswald allegedly tried to take via Texas and Mexico City. News of the Tampa plot was confined to a single newspaper report, and picked up by the UPI, but Lamar Waldron and Thom Hartmann explore this plot further and in some detail in their books “Ultimate Sacrifice” (Carroll & Graf, 2005) and “Legacy of Secrecy” (Counterpoint, 2008). While their view of the assassination is somewhat warped by the adherence to their theory that what happened at Dealey Plaza was planned by Mafia dons in league with some CIA officers and Cubans planning a “C-Day” coup and US invasion of Cuba, much of what they have uncovered is true and can be independently verified. Laying the basic ground work in “Ultimate Sacrifice – John and Robert Kennedy, the Plan for a Coup in Cuba, and the Murder of JFK,” at first they intentionally neglected to name their primary suspect to lead the Coup in Cuba, a coup that the CIA was unmistakably plotting. Desmond Fitzgerald (on September 25, 1963) informed the Joint Chiefs of Staff of their “Valkyrie” plan, based on a failed plot to kill Hitler adapted to Cuba. This plan targeted disenchanted Cuban military officers and a few revolutionary figures close to Castro. That alone is a major research breakthrough, and if they would have stopped right there and entwined the details of how that Cuban coup planning was redirected to Dealey Plaza, it would have been enough, but they further developed their theory with the additional details - that the Kennedys had a approved a coup in Cuba to take place on C-Day (Dec. 1) and that this plot was hijacked by Mafia dons Santo Traficante and Carlos Marcello and used to kill Kennedy. Although he is not named in the first edition of their book, Juan Almeida is identified in hastily published follow up edition after Almeida was named by others. It has also been brought to our attention that on the date of the supposed coup, it has been documented that Almeida was in an airplane on the way to Africa to lead Cuban forces in the Congo, so he was in no position to lead a coup in Cuba and in any case, he didn’t, and is still considered in the good graces of the Castro government in Cuba. My other problem with the Waldron/Hartman theory is that the coup plan was known to, infiltrated and hijacked by Mafia dons, when in fact the CIA and the Joint Chiefs of Staff, who were in cahoots in the Valkyrie Plot, were quite capable of redirecting the Havana coup from Castro to Kennedy without any help from their Mafia friends, though they certainly could have been used in some of the tactical aspects (ie. silencing the Patsy). Nor do I think that their extensive use of anonymous sources contributes to their credibility, though I believe their unidentified ONI source as having shadowed Oswald and destroying official government records related to Oswald immediately after he was arrested. That said, Waldron and Hartmann have done extensive research into the Tampa plot, and reported what they knew in their books, some of which is quoted here. After that Tampa speech, Kennedy went to Miami to address the media, and reportedly included in his speech, a special message for those who were contemplating a coup in Cuba. 2. “Threats on Kennedy Made Here,” Tampa Tribune 11/23/63; “Man Held In Threats to JFK,” Miami Herald 11-24-63 – it is bylined Tampa (UPI), so it may well have appeared in other newpapers. Military ready for action. 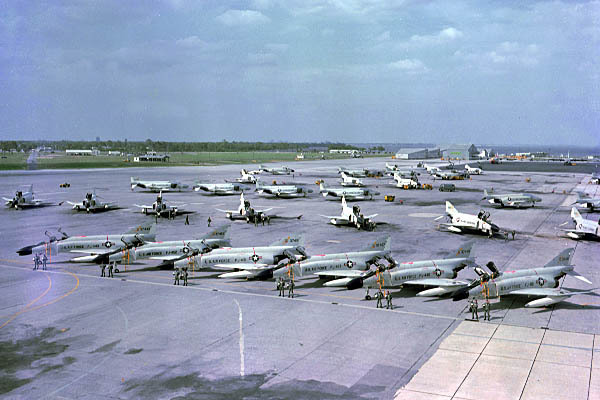 Caption reads: Initial USAF deliveries to MacDill AFB, Florida, in November 1963, were 29 "borrowed" Navy F-4Bs (given USAF serial numbers, but eventually returned). 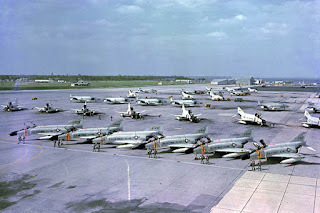 These 12th and 15th Tactical Fighter Wing aircraft were soon joined by production F-4Cs. Both types appear in this photo. Tampa police and Secret Service agents scanned crowds for a man who had vowed to assassinate the President here last Monday, Chief of Police J.P. Mullins said yesterday. “Subject made statement of a plan to assassinate the President in October 1963. Subject stated he will use a gun, and if he couldn’t get closer he would find another way. Subject is described as: White, male, 20, slender build,” etc. Mullins said Secret Service had been advised of three persons in the area who reportedly had made threats on the President’s life. One of the three was – and still is – in jail here under heavy bond. Mullins said he did not know if the other two may have followed the Presidential caravan to Dallas.